It's Take 5 time at Paper Issues. Stop by the blog to be inspired, then post your layout in the Facebook Friends and Fans group for a chance to win a gift certificate to the store. 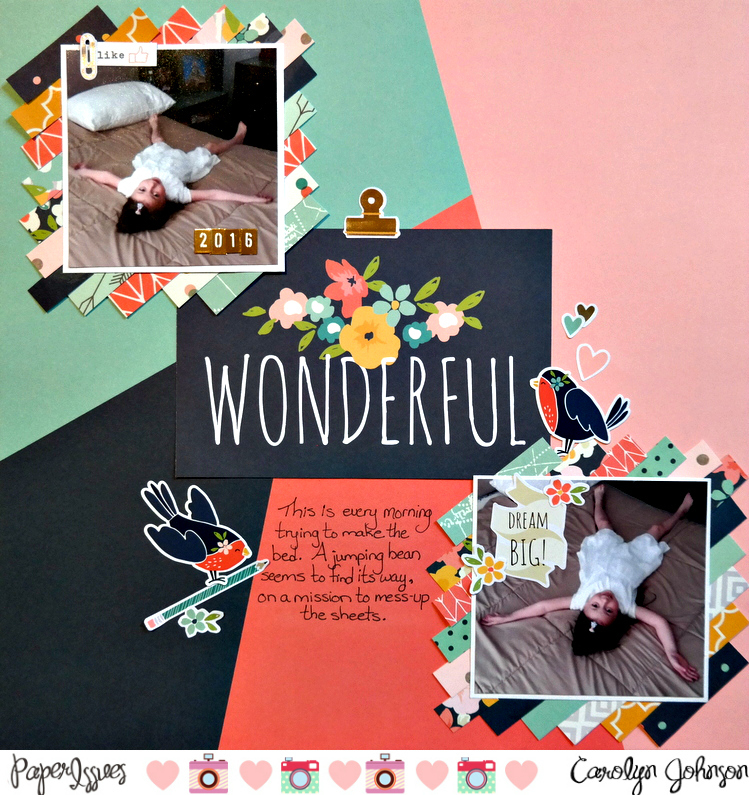 I used: more than 1 photo, manufacturer's strips, stickers, hand written journaling, title. I was inspired by #15. I cut off all the manufacturer's strips from my Posh collection and then layered them behind my pictures. I love all the cards in Simple Stories collections and I used this 'wonderful' one for my title. I actually made a painted background but at the end of the day it didn't look right and used this fun patterned paper. Thanks for stopping by! Don't forget the Paper Issues Store has lots of Posh supplies. Use the code Carolyn at checkout to save 20%.